The legacy publisher is set to embark on another round of layoffs. The move, which will trigger the departure of approximately 80 employees, is linked to the overall reorganisation that has been underway at the company for more than two years, as well as new plans to reduce the newsstand frequency of several publications and the elimination of Teen Vogue’s print product altogether. 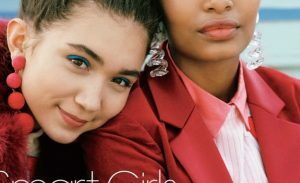 A Condé Nast spokesperson declined to comment on the reports, although sources at the company indicated the publisher will continue to invest in Teen Vogue’s digital platform, which accounts for the majority of the media brand’s revenue. However, the majority of Condé Nast’s overall revenue still comes from physical magazines and the company’s leadership has gone to great lengths to try and preserve print’s “crown jewel” status within the organisation.